March 12, 2012, 4:51 p.m. Seriously — they aren't just using them to watch YouTube! In a study published Monday in the Archives of Internal Medicine, 115 internal medicine residents affiliated with the University of Chicago were given Apple iPads to access patient medical records, the hospital’s paging system and medical publications. A team of investigators at the medical school wanted to see if having access to tablet computers would increase the doctors’ efficiency. It did. The researchers surveyed their subjects before handing over the tablet computers and four months afterward. Ninety percent of the residents said they were using the tablets for work — most of those, every day. The residents also said that the computers made them more efficient, saving about an hour a day. The self-reported data were supported by observations of the timing of orders issued for patient care. Five percent more orders were placed before 7 a.m. rounds than before iPads were in the wards. Eight percent more orders were placed prior to the time teams were scheduled to leave the hospital than before the iPads were handed out. “The implementation of personal mobile computing was associated with improvements in both perceived and actual resident efficiency,” the authors wrote. They suggested that this might be because residents, iPads in hand, didn't have to spend as much time waiting for a computer in the charting area — and were able to devote more time at patients’ bedside. The authors did not report iPads' effect on the residents’ Angry Birds scores. This is the CMA's weekly newsletter about Wireless Messaging. You are receiving this because I believe you have requested it. This is not a SPAM. If you have received this message in error, or you are no longer interested in these topics, please click here , then click on "send" and you will be promptly removed from the mailing list. Editorial Opinion pieces present only the opinions of the author. 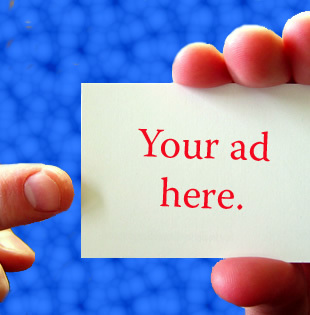 They do not necessarily reflect the views of the Critical Messaging Association, or its sponsors. Please help support the CMA Wireless Messaging News by clicking on the PayPal Donate button above. Thanks to our sponsors and vendors of the Critical Messaging Convention! 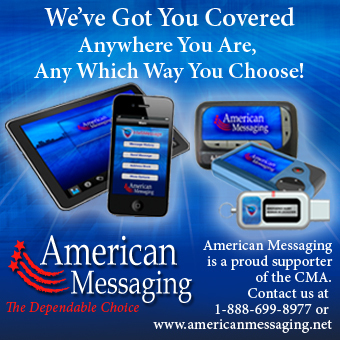 American Messaging Services, LLC, is the second largest wireless messaging or paging company in the United States with reliable wireless networks providing coverage in 98 of the top 100 major metropolitan areas. Directly, and through subsidiaries, it provides traditional one- and two-way messaging, telemetry, immediate mass notification services, and downloadable software applications to almost 1.0 million subscribers nationwide. Critical Alert System was founded in 2010 to acquire the assets of Northeast and UCOM Paging. Since then, we have acquired Teletouch Paging, Comserv Paging, and Intego Systems, Inc. Our mission is to provide a wide variety of Critical Messaging solutions primarily to the healthcare market. Centralized Nurse Call systems, agnostic middleware, hosted and server-based messaging gateways, mobile apps, and paging are part of our constantly expanding suite of products. We are actively pursuing investment opportunities and equity partnerships that expand our customer relationships and services portfolio and facilitate top line growth. Daniels Electronics Ltd., is a North American leader in the design and manufacture of customized radio communications systems and paging transmitters for public safety and other niche applications. For the past 60 years Daniels has provided customers in North America and internationally with highly reliable paging transmitters, base stations, and repeaters that are environmentally robust to operate in rugged and extreme temperature conditions for extended periods of time. Our products operate between 29-960 MHz and are available in a variety of Paging Transmitter, Base Station, and Repeater configurations for two-way voice and mobile data applications. Indiana Paging Network (IPN) has been providing paging coverage for over 37 years and is the largest independent paging carrier in the Midwest. We provide our Indiana and Chicagoland customers the most comprehensive coverage available. Our customer service is second to none; we can truly stand by our motto of “Our Signal is Just One of Our Strengths.” We are evolving to become a more complete message delivery service for our customers with the additions of our IPN Messaging Center, telephone answering service, and our EMACS, emergency mass notification system. We will continue to improve and provide additional products and services to stay at the forefront of the messaging industry. InfoRad Inc. is a leading worldwide provider of messaging and alerting software and hardware technology solutions that communicate with smartphones, alphanumeric paging receivers, wireless LED sign boards, and other wireless receiver technologies. InfoRad products seamlessly combine wireless data, computer telephony, and Internet/ telco technologies to provide our customers a highly reliable and cost-effective communication solution with today’s wireless devices. Leavitt Communications, LLC is proud to support CMA. In Austin, we will introduce the MiniStatic Emergency Alerting Pager which is used in Israel for alerting citizens of imminent emergency. It is a cost-effective unit designed for an event requiring one to all messaging and is capable of displaying an alpha message and alerting with built in LEDs and buzzer. In addition, we support legacy Motorola products with parts, programming hardware and software, the Alphamate 250 (available new) and Alphamate II and Alphamate (available refurbished). We repair all models of Motorola pagers and Alphamates; sell refurbished Motorola numeric, alpha and voice pagers; and distribute Unication, Daviscomms, Motorola, U.S. Alert, and Apollo pagers. Microspace Communications operates the world’s largest private satellite broadcast network for business and has been serving the needs of the wireless messaging industry since 1990. Microspace is dedicated to offering a variety of cost-effective, open systems simulcast network solutions that can be tailored to meet the needs of the carrier. Microspace supports all formats including analog Bell 202, voice, TNPP, and advance control (CNET, RFC, and C2000). Shared CNET control and Internet TNPP services are also available. Midwest Paging serves the state of Missouri as well as portions of Northern Arkansas, Eastern Kansas, and Western Illinois. Known as “The Most Respected Name in Missouri for Paging Communications”, Midwest Paging is dedicated to providing a large, almost seamless coverage area and we pride ourselves in the quality of Customer Service we provide our clients. We are happy to sponsor the CMA and their continued efforts to expand and improve the paging industry worldwide! Prism-IPX Systems (PIPX) designs powerful Message Management systems for paging, SMS, Smartphones, and other wireless technologies. PIPX products provide integrated wireless messaging for healthcare, energy, industrial, public safety, aged care/assisted living, and government markets. 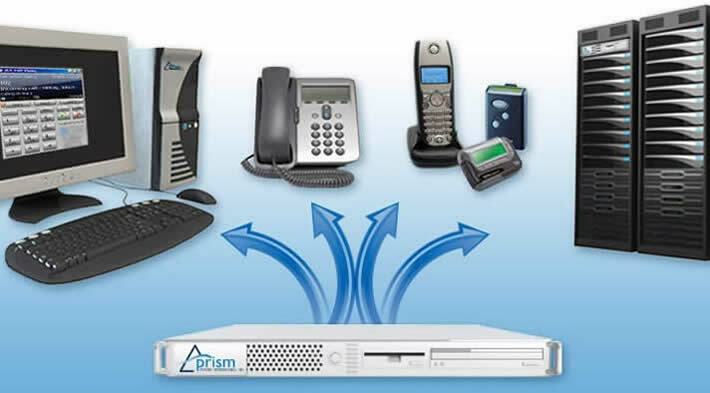 Equipped with remote and local direct VoIP interfaces, Prism-IPX Systems provide fast, reliable dispatch of critical alerts and messages to cellular/ DECT/SIP phones, pagers, e-mail, machine-to-machine, remote control devices, and LED display boards. 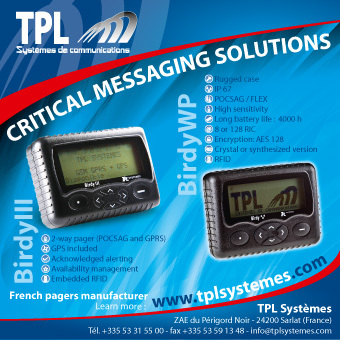 See our newest products and services for SMS and Smartphones. 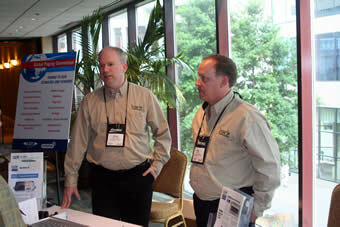 Unication is a premier supplier of Critical Messaging and Communication equipment to the Global Marketplace. Unication is proud to announce two new product lines focused on the Public Safety and Industrial segments. 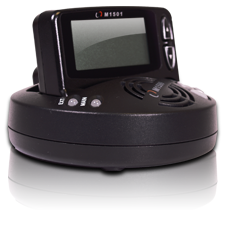 The G1 is the first IP67 Submersible Voice Pager and the E3 is an IP64 Ruggedized Alpha Pager. Unication continues to invest and innovate to bring added value to the Worldwide Messaging Industry. 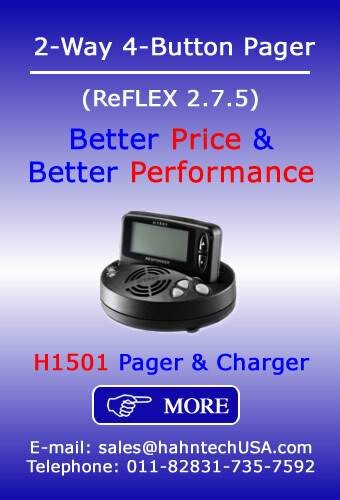 Some of these innovative products include a Dual Frequency Alpha Pager, a Password Protected Alpha Pager, and a Wideband/Narrowband Auto-Migration Pager called the Legend+. Unication is committed to be your Quality and Value Leader in providing communications equipment and solutions to you and your customers. Victoria, BC, Canada — March 16, 2012 — Daniels Electronics Ltd., an international leader in the design, manufacture and service of specialized radio communications systems today announced it has successfully completed a $1.3 Million contract with the Canadian government for the assembly and test of radio receivers used in the National Research Council of Canada (NRC) development of 84-116 GHz heterodyne receivers for the international Atacama Large Millimeter array (ALMA) telescopes awarded back in late 2008. ALMA is located at 5000m elevation in the Chajnantor Plain of northern Chile. The resolution and sensitivity of the array will constitute a great leap forward compared to existing facilities, making it the world’s pre-eminent radio astronomy facility of the next decades. NRC’s contribution to the project is 73 extremely sensitive 84-116 GHz receivers. The nucleus of the receiver is a superconductor-insulator-superconductor (SIS) tunnel mixer which down converts the RF signal collected by the radio telescope to an intermediate frequency (IF) signal centered at 6 GHz with a bandwidth of 4 GHz. A cryogenic high electron mobility transistor (HEMT) amplifier is used to amplify the IF signal by more than 30 dB before it is delivered to the ALMA Back-End System. The SIS detector and the HEMT IF amplifier must operate at a cryogenic temperature of 4 Kelvin. NRC has developed a cryogenic 4-8 GHz HEMT amplifier for this application. "Daniels has been very pleased to be a part of this prestigious project and to contribute our expertise in precision assembly and testing of radio electronics for the National Research Council of Canada," says Robert Small, President and Chief Operating Officer with Daniels Electronics. "The ability of a local Victoria company to compete, win and deliver ahead of schedule such advanced technology shows the depth of the high tech industry in Victoria and the level of expertise companies such as Daniels Electronics bring in support of our government's leading edge scientific developments." Daniels Electronics Ltd. is an international leader in the design, manufacture and service of specialized radio communications systems based upon North American standards. For the past 60 years Daniels has provided customers in North America and internationally with highly reliable trunked and conventional base stations, fixed and transportable repeaters and paging equipment that is environmentally robust and operates in rugged and extreme temperature conditions where low current consumption is a key requirement. 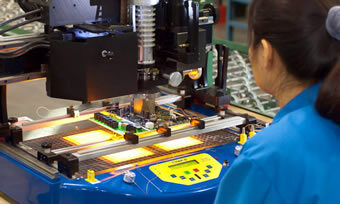 For more information about Daniels Electronics, visit www.danelec.com . Canada announced yesterday it is opening its telecommunications market to foreign investors and capping the amount of spectrum that can be owned by operators as it works to inject more competition into its wireless market, which is dominated almost entirely by Rogers, Bell and Telus Mobility. The policy changes will lower prices for consumers and give new entrants a better chance of competing against incumbent providers, Industry Canada Minister Christian Paradis said in a transcribed copy of his Wednesday afternoon speech. The country is amending its Telecommunications Act to lift foreign investment restrictions on companies that hold less than a 10 percent share of the Canadian telecommunications market. It also will limit the amount of spectrum that can be purchased by a single company in its upcoming 700 MHz and 2500 MHz auctions to "facilitate four or more companies in each license area securing this spectrum." "This will enable new entrants to acquire this valuable spectrum and improve their ability to compete," Paradis said. The 700 MHz auction is scheduled for the first half of next year, and a portion of the band will be reserved for use by public safety. The 2500 MHz auction will follow "within a year" of the 700 MHz sale. Companies that win more than one block of 700 MHz spectrum or gain access to it through sharing agreements will be required to deploy networks covering 90 percent of the population in their coverage area within five years and 97 percent of the population within seven years. The government also decided to "indefinitely extend" policies on mandatory roaming agreements and tower sharing first enacted in 2008. Startup Canadian operator Wind Mobile said the changes didn't go far enough and criticized the spectrum caps, which it said will leave new entrants shortchanged on the spectrum they need to deploy LTE. "The government is prepared to take credit for creating a level playing field in the upcoming auction, when all they've really done is stack the deck in favour of the incumbents," the company said in response to Paradis' speech. "To build out an LTE network, 10 MHz of spectrum is necessary. This decision only allows new entrants access to half that amount and will prevent any carriers, other than the incumbents, from building faster networks." Wind Mobile and other operators like Lynx Mobility hold just a fraction of the Canadian wireless market. Phil Leavitt has approximately 1,500 new Bravo 501 900 MHz FLEX numeric pagers (synthesized) available for $9.50 each. Please contact Phil directly if you are interested. China will surpass the U.S. in smartphone shipments this year, a title which the U.S. is never expected to regain, according to market figures released on Thursday by IDC . The Asian giant is predicted to have a 20.7 percent share of the global market this year, edging out the U.S. share of 20.6 percent, IDC said. It is expected that 137 million smartphones will be sold in China this year. China began outselling the U.S. in smartphones in the second half of last year. The United Kingdom is expected to take the number three spot at 4.5 percent, followed by India at 2.9 percent and Brazil at 2.3 percent. IDC predicts a growing gap between China and the U.S. by 2016, as growth in smartphone adoption continues in developed markets but without the volume growth in countries such as India and Brazil. By that year, IDC said China will hold 20.2 percent market share, followed by the U.S. at 15.3 percent; India, 9.3 percent; Brazil, 4.7 percent; and the UK at 3.7 percent. Low-cost Android smartphones under $200 were a key growth driver in China, IDC said. Prices will continue to become more affordable as chipset prices drop and the market sees increased competition. China’s domestic vendors such as Huawei, ZTE and Lenovo will drive growth by supplying carriers with customized handsets, while Samsung and Nokia will drive volume with cheaper low-end smartphones, IDC said. In India, domestic vendors Micromax, Spice, Karbonn and Lava will launch low-cost smartphones as they try to nudge customers up from feature phones. Carriers are also expected to “aggressively” roll out 3G networks and data plans in that country, IDC said. Low inflation and a booming economy in Brazil have lifted consumers’ discretionary income, and they are upgrading from feature phones to smartphones, which have dropped to less than $300, IDC said. Also key in Brazil has been the introduction of prepaid data plans, an important development since four out of five Brazilians have prepaid phone lines, IDC said. The number of mobile phones now exceeds the country’s population. Updated: 8:28 am, Wed Mar 14, 2012. While Franklin County is working to fix and upgrade its 911 dispatching system, some area firefighters are wondering what happened to some of the old features. Boles Fire Chief Jim Casey said he has heard complaints from fire personnel from several area departments. Those firefighters have questioned why the county’s public safety answering point, or dispatching center, located at the sheriff’s department in Union, no longer has the capability of sending pager messages. Casey said his district is one of the districts dispatched by the county that utilized those pagers and said the system hasn't been working for more than a year. “A lot of firefighters across the county carry alpha pagers and voice pagers which allow us to have a second means of communication,” Casey said. The pagers can tell firefighters the type of call they are responding to and the location, he said. That helps volunteers who are coming from different locations, Casey said. “It helped out because the voice pagers may set off a tone, but if you’re not in a good location to hear, you might not get all of it. For volunteers especially, the alpha pagers gave them a good idea of if they needed to respond or not,” he said. Casey noted the pagers also cut down on the amount of calls to dispatchers from responders. Vince Zagarri, the county’s interim 911 director, said fixing the alphanumeric paging system was not a priority for the county and the vendor of its 911 software, CenturyLink. Zagarri told Casey and others on the county’s emergency management communications board earlier this month that fixing the paging would have to wait until after the computer software system is fixed. That system hasn't been fully operable since the county purchased it about two years ago. Mike Kelley, St. Clair Fire assistant chief, said his crews receive information by text message. The same information — including the type of incident, location and cross streets — is available as a printout at fire stations. Kelley said his department is dispatched by Central County Fire Alarm, not Franklin County. He said that the dispatching center handles only fire and EMS agencies, not law enforcement. Franklin County’s dispatching center, located at the county sheriff’s office in Union, handles dispatching for the sheriff’s department as well as numerous fire and EMS agencies throughout the county. Some entities, however, like the St. Clair Fire Department and emergency service providers in Washington, Sullivan and Pacific, either operate their own dispatching centers or have contracted services out, at a cost, to other dispatching centers. The county provides dispatching services for free to those entities it serves. Officials have talked about the need for an additional funding source, including the possibility of charging for dispatching. Currently the county funds 911 operations with a landline telephone tax, which is maxed out by law at 15 percent. Revenues from that tax have been on a constant decline as the number of landline users declines. Cellphones are not taxed for 911 in Missouri, making it the only state in the country without such a tax. County officials, including Sheriff Gary Toelke, are working on developing a strategic plan for countywide 911. With such a plan in place, county commissioners hope to pursue a 911 sales tax perhaps as soon as next year. Sprint Nextel Corp. today exercised its option to back out of a partnership with trouble satellite/cellular company LightSquared Inc. and paid the company back $65 million. The Overland Park-based carrier issued a news release this morning that made official what had looked increasingly clear — LightSquared’s difficult regulatory hurdles doomed the companies’ network-sharing plans. That scuttles its $9 billion 15-year deal between LightSquared and Sprint. A Wall Street Journal story is reporting that LightSquared would “file a defense of its network” at the Federal Communications Commission today. LightSquared, which is based in Reston, Va., has struggled to resolve technical objections that regulators raised about its plan to use satellite signals along with cellular towers on the ground to deliver a faster wireless network. The radio spectrum it has rights to is next to the radio frequencies used by satellite-guided navigation systems. Some government testing, contested by LightSquared, found almost inevitable jamming of those GPS receivers if LightSquared lit up its network. Garmin Ltd., headquartered in Olathe, was among those in the industry fighting against licensing for the LightSquared from the FCC. 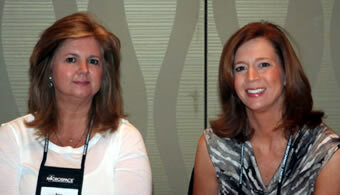 LightSquared also has recently lost its CEO, cut jobs and missed a payment to another partner. It had signed a contract with Sprint last June to deploy and operate the network, promising $9 billion as well as credits Sprint could cash in to use the network. Sprint announced the deal with the proviso that LightSquared gain financing and resolve its issues that involve claims of interference with GPS signals. The two companies have extended the deal in the past. In its annual report filed with the Securities and Exchange Commission Feb. 27, Sprint had said it could cancel the deal as early as today or as late as April 30. It said LightSquared would be able to defer Sprint’s ability to cancel until June if LightSquared’s lenders agreed to extend deal. Sprint had counted on LightSquared’s planned network to extend its own ability to provide customers with faster cell service using Long Term Evolution, or LTE, technology. Sprint already is adding LTE during its own network upgrade. It plans to gain additional LTE capacity from Clearwire Corp., which is adding to its existing WiMax network that Sprint already uses for its current 4G speed service. Yet in its announcement today, Sprint left open the possibility of teaming with LightSquared down the road. MADISON, Wis. — Apple's latest iPad drew the customary lines of die-hard fans looking to be first and entrepreneurs looking to make a quick profit. Many buyers lined up for hours, and in some cases overnight, as the tablet computer went on sale in the U.S. and nine other countries. They did so even though Apple started accepting online orders a week ago. The new model comes with a faster processor, a much sharper screen and an improved camera, though the changes aren't as big as the upgrade from the original model to the iPad 2. As with the previous models, prices start at $499 in the U.S.
"I don't think it's worth the price but I guess I'm a victim of society," Athena May, 21, said in Paris. Dan Krolikowski, 34, was first in line at a Madison, Wis., mall. He arrived 14 hours before the store's opening and was buying an extra one to sell on the "gray market." "Last year I sold one on eBay and made over $500 in profit," Krolikowski said, leaning back in a reclining lawn chair he brought. "I'm hoping to do that again this year." Those who ordered iPads online started getting them delivered Friday. However, Apple now says there's a two- to three-week shipping delay for online orders. There's also demand in countries where the new iPad isn't available yet. In Hong Kong, a steady stream of buyers picked up their new devices at preset times at the city's sole Apple store after entering an online lottery. The system, which required buyers to have local ID cards, helped thwart visitors from mainland China, Apple's fastest growing market. A release date in China has not yet been announced. Apple will begin selling the iPad in 25 additional countries next Friday, mostly in Europe. At the flagship Apple Store on New York's Fifth Avenue, the composition of the line, and the way many customers were paying for two iPads each with wads of cash, suggested that many of the tablets were destined to be resold abroad. The gadget also drew entrepreneurs of a dubious nature. In Orlando, Fla., authorities arrested a Best Buy employee and a former worker early Thursday on accusations they schemed to rob a store at gunpoint and steal more than $1 million in iPads and other Apple products, according to the Orlando Sentinel. About 450 people lined up outside Apple's Ginza store in downtown Tokyo. Some had spent the night sleeping outside the store. Dipak Varsani, 21, got in line in London at 1 a.m. Thursday local time and said he was drawn by the new device's better screen. "You've got clearer movies and clearer games," he said. "I use it as a multimedia device." Despite competition from cheaper tablet computers such as Amazon.com Inc.'s Kindle Fire, the iPad remains the most popular tablet computer. 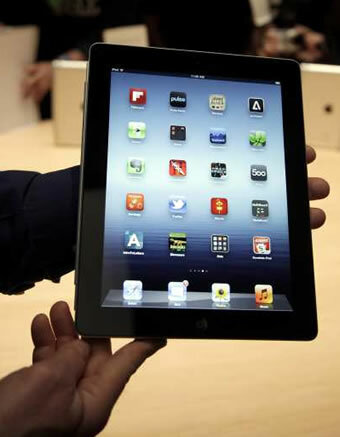 Apple Inc. has sold more than 55 million iPads since its debut in 2010. Apple says the iPad is propelling us into a "post-PC era," with computers that work very differently from the traditional laptops and desktops. Two years after the debut of the first iPad, the device's launch has become the second-biggest "gadget event" of the year, after the annual iPhone release. In Atlanta, one kid in line carried a sign that read "Happy iDay!" Many said they lined up for the atmosphere, rather than ordering online. "Sure, it's a marketing ploy, but I still love the experience," said Pam Johnson, 58, a Portage, Wis., writer who traveled about an hour to the Madison store. "You have great conversations. You learn a lot. You don't get that when you just sit at home and wait for it to be delivered to your doorstep." London, 13 March, 2012 — PageOne, the UK's leading provider of mobile messaging solutions to the public and enterprise sectors, today announced its CEO, Chris Jones, has been selected as a finalist for the 2012 Critical Messaging Association (CMA) Industry Recognition Award. The winner of this prestigious award will be announced at the CMA convention taking place in Austin, Texas from the 27th — 29th March 2012. As a chartered engineer with over 30 years' experience in the Telecommunications industry, Chris Jones has led PageOne since being appointed Managing Director in 2003. After predicting the competitive opportunities for business paging in Europe early on, Jones has taken the company on a journey into the wider aspects of critical and non-critical messaging through many and varied technologies. His entrepreneurship, determination and knowledge, has helped PageOne diversify into a business with a large portfolio of messaging solutions across the public and major corporate sectors. The nomination is recognition of his continued dedication to developing, shaping and promoting wireless messaging and providing innovative communications which truly benefit the industry. Chris Jones, CEO of PageOne Communications said: "I am delighted and honoured to have been nominated for such a prestigious award and feel proud to be at the helm of a company that has built its reputation not just on the nature of its products but on staff commitment to providing outstanding customer service and support." Celebrating 25 years of messaging innovation, PageOne's pioneering approach, under the leadership of Jones, has helped drive new and creative ways for businesses to stay connected; empowering a multitude of organisations to achieve real commercial and operational advantage. The company has played an instrumental role in a number of industry milestones over the years, including the first to develop email on the move, the use of high speed FLEX for paging, and the development of Pulse - a dedicated emergency channel for Bluelight organisations. In a dynamic mobile world PageOne continues to bring new technologies to market such as the launch of the UK's first MTPAS enabled 2-way pager and Lone Worker applications for Smart Phone devices. The FCC’s Wireless Telecommunications Bureau (WTB) has completed a Final Programmatic Environmental Assessment (PEA) of the Antenna Structure Registration (ASR) program under the National Environmental Policy Act (NEPA). WTB conducted the PEA in compliance with the U.S. Court of Appeals for the District of Columbia Circuit’s decision in American Bird Conservancy v. FCC, in which the court held, among other things, that the Commission must perform a programmatic analysis of the impact on migratory birds of registered antenna structures. Under the ASR program, owners of antenna structures that are taller than 200 feet above ground level or that may interfere with the “glide slope” of a nearby aircraft landing area (airport or heliport) must register those structures with the Commission. The antenna structure owner must obtain painting and lighting specifications from the Federal Aviation Administration (FAA) and include those specifications in its registration prior to construction. The ASR program allows the Commission to fulfill its statutory responsibility to require painting and lighting of antenna structures that may pose a hazard to air navigation. The PEA assesses the potential environmental effects, and particularly the effects on migratory birds, of several alternative courses of action. These alternatives include making no changes to the Commission’s current environmental compliance procedures, as well as several alternatives that would expand the circumstances under which an environmental assessment (EA) is required for an individual tower. The PEA also considers the possibility that the FAA may revise its permitted lighting configurations in a manner that would reduce the impacts of lighting on migratory birds. The PEA finds that the environmental impact of the ASR program would not be significant at the national level under any of the alternatives considered. The potential for significant impacts to populations of migratory birds, Bald Eagles, or Golden Eagles at the local level would vary depending on the course of action ultimately adopted by the Commission. WTB intends in the near future to recommend to the Commission a Further Notice of Proposed Rulemaking (FNPRM) in WT Docket Nos. 08-61 and 03-187 inviting comment on what actions the Commission should take to comply with NEPA in light of the analysis in the final PEA. At the conclusion of the rulemaking, based on the findings and possible actions taken therein, the Commission will either issue a Finding of No Significant Impact or initiate further environmental processing. Pending the conclusion of the rulemaking proceeding, ASR applicants must continue to prepare Environmental Assessments (EAs) where required under the Commission’s existing rules. Furthermore, the Commission recently adopted an additional interim EA requirement to protect migratory birds, which will become effective following its approval by the Office of Management and Budget (OMB). Under this interim procedure, an EA will be required for any proposed new tower over 450 feet in height above ground level, for replacement or modification of an existing tower over 450 feet in height that involves a substantial increase in size, or for certain delineated changes in lighting to a tower over 450 feet in height. In the recently adopted Order on Remand, the Commission also instituted a pre-application local and national environmental notification process so that members of the public will have a meaningful opportunity to comment on the environmental effects of proposed antenna structures that require registration with the Commission. The revisions to FCC Form 854 to incorporate the environmental notification process, as well as the interim EA requirement, are subject to approval by OMB. The Wireless Telecommunications Bureau will publish in the Federal Register a notice announcing OMB's approval of these requirements and the effective date of the process. In addition, before the rules take effect, the Wireless Telecommunications Bureau will issue a Public Notice providing technical details about the process for submitting the pre-filing notification. BloostonLaw has filed a petition for reconsideration of certain aspects of the new requirements, as previously reported. LTE DEVICE SHIPMENTS COULD REACH 30 MILLION BY YEAR-END: According to Mind Commerce Publishing, a research and consulting firm, as of first quarter 2012, 49 mobile network operators worldwide have launched fourth-generation (4G) Long Term Evolution (LTE) networks commercially. As a result of early investment in LTE infrastructure and device R&D, mobile network operators (MNOs) and device vendors are push-ing hard to increase LTE enabled device among users, both in the public and enterprise sectors, Mind Commerce said. It added that the year 2011 has already witnessed over 8.2 Million LTE enabled device shipments which account for revenues of over $2 billion. With the number of shipments expected to reach over 30 million by the end 2012, the industry is set to grow at a rapid pace, Mind Commerce said. Leading LTE operators such as Verizon Wireless have already announced intentions to have LTE support in essentially all of its smart phones, going forward, the consulting firm noted. 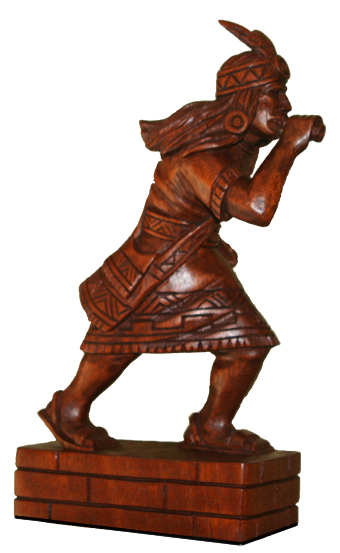 The Chasquis (also Chaskis) were agile and highly-trained runners that delivered messages, royal delicacies such as fish and other objects throughout the Inca Empire, principally in the service of the Sapa Inca. Chasquis were dispatched along thousands of miles, taking advantage of the vast Inca system of purpose-built roads and rope bridges in the Andes of Peru and Ecuador. On the coast of what is now Peru their route ran from Nazca to Tumbes. Chasqui routes also extended into further reaches of the empire into parts of what are now Colombia, Bolivia, Argentina and Chile. 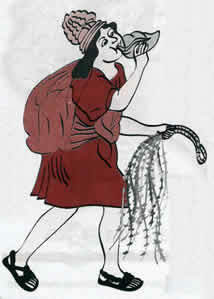 Each chasqui carried a pututu (a trumpet made of a conch shell), a quipu in which information was stored, and a quipu [qipi] on his back to hold objects to be delivered. Chasquis worked using a relay system which allowed them to convey messages over very long distances within a short period of time. Tambos , or relay stations, were constructed at key points along the road system, often consisting of a small shelter with food and water. Chasquis would start at one tambo and run to the next tambo where a rested chasqui was waiting to carry the message to the next tambo . Through the chasqui system a message could be delivered from Cusco to Quito within a week. A caricature of the Chasqui was used as the mascot for the Copa América in 2004, which was hosted by Peru that year. This was the South American Pager , or “Wireless Messenger” during the Inca Empire (1438 to 1533 AD). Life is meant to be enjoyed and when we are worried, angry, resentful, or any other self-centered feeling we are not enjoying the journey. We need to lighten up and enjoy the journey. Have some fun this weekend.